Ever wonder what inspires a Pixar storyteller and animator? How about growing up in a toy store? 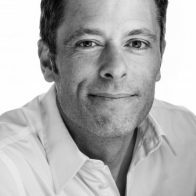 If you’ve ever seen Matthew Luhn, one of the original Pixar Storytellers, speak on storytelling or creativity, you’ve heard his story about growing up in his family’s toy stores and the wild creativity it birthed in him. Luhn came from four generations of toy store owners: his parents, grandparents, and great-grandparents all owned toy stores in San Francisco, dating back to 1938 when the first family store opened (which was technically a five-and-dime store back then). 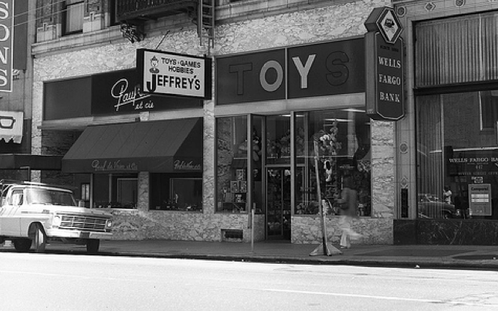 In 1966, they were officially named Jeffrey’s Toys, after his uncle Jeffrey. According to Luhn, his father “wanted to work for Walt Disney and be an animator.” When his father saw at the age of three that Matthew could draw, he decided to live his animation dream through his son and give Matthew all the experiences necessary to inspire his art. After being “home-schooled” in art by his father, Luhn later went on to get a degree at the world famous school for animation, CalArts, created by Walt Disney. After his first year at CalArts, Matthew was hired to work as an animator on the 3rd season of The Simpsons, before finally landing an animation job at Pixar. You can see some of his toy store inspired animation work in Toy Story, where he animated the army soldiers along with Woody and Buzz. After 20 years at Pixar, Luhn now spends his time speaking about the importance of storytelling in business and how to inspiring creativity in the workplace. As for Jeffrey’s Toys, the stores are still family owned and operated by the Luhn’s to this day. On October 27, 2017, Matthew’s dad, Mark Luhn—who still runs the toy stores—opened up the newest store location on 45 Kearny Street in San Francisco. Inside, you can get a glimpse of the life that inspired storyteller and animator, Matthew Luhn, while picking up a toy, game, or comic, and supporting a local business. Kyle Crocco is an East Coast native and content creator for Big Speak. His career has taken him from authoring the Heroes, Inc. series, to living and teaching abroad in France and China, to completing his Ph.D. in Education at the University of California-Santa Barbara. He is also the lead singer for Duh Professors, a local Santa Barbara band.